Electronic commerce is a way to do business over large electronic networks such as the Internet. Also called e-commerce, electronic commerce greatly facilitates transactions between companies and consumers (B2C), between one company and another (B2B), and between individual consumers (C2C). 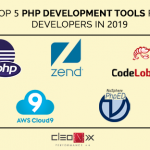 There would be times when you won’t be building your website yourself. 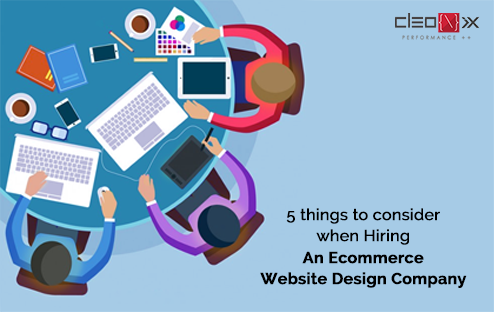 If you are on the lookout for professionals, then you need to be cognizant of the ways to find them; they should also be very much aware of the nitty-gritty of E-Commerce websites.5 things to consider when Hiring An Ecommerce Website Design Company. 1.Determine Your Needs: Determining your business needs is the most important factor to take into consideration. You need to ensure the design structure of your site is based on the needs of your business and reflects the objectives which you wish to achieve with the site. 2.Portfolio says everything: Check the company’s previous works. It is a solid proof that you can judge for their abilities in creating an e-commerce website. From their portfolio you can identify whether your needs matches with theirs or not. 3.Establish Your Budget: Websites are one of the most important aspects of a business. 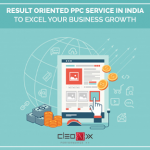 Though you cannot afford to cut corners on this area, determining the budget is very important.Check which company gives you best budget quote. 4.Shortlist A Few And Arrange Meetings With Them: Shortlist the top three agencies from their portfolio which closely fulfil your requirements and arrange a meeting with each one of them. Discuss the different brands, websites and businesses which you can take as inspiration and realise their key motivation. 5.Consistent and reliable support: You must remember that you have to choose the company which gives you consistent and reliable support. 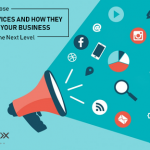 “Cleonix Technologies” is the Kolkata based Web Development & Digital Marketing company specializing in Website Design, Graphic Design, Web Development, Digital Marketing, Search Engine Optimization. We hold the expertise in Ecommerce site development. Please visit our website to affordable services.